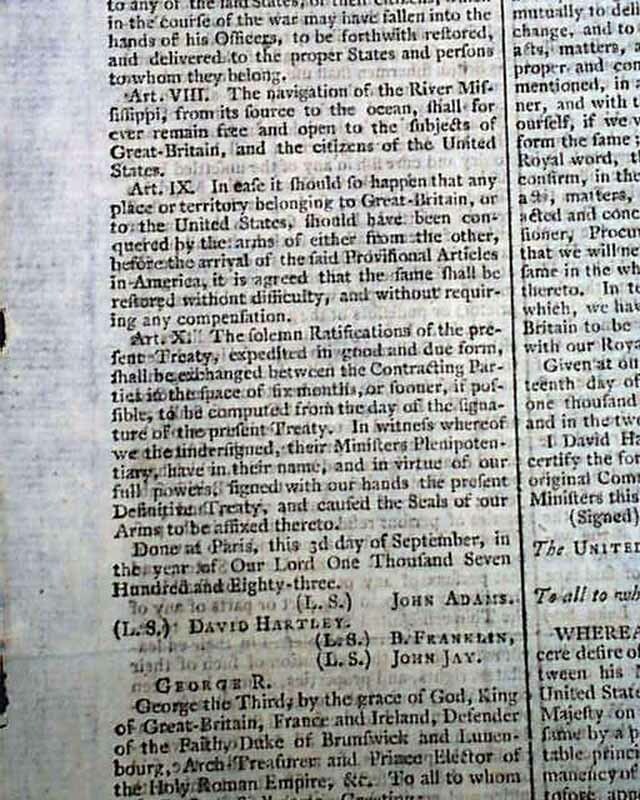 Taking all of the front page & most of page two is perhaps the most significant document of the Revolutionary War era, being the complete text of the Treaty of Paris ending the war, formally headed at the top of the first column: "The Definitive Treaty between Great Britain & the United States of America, signed at Paris, the 3d Day of September, 1783". 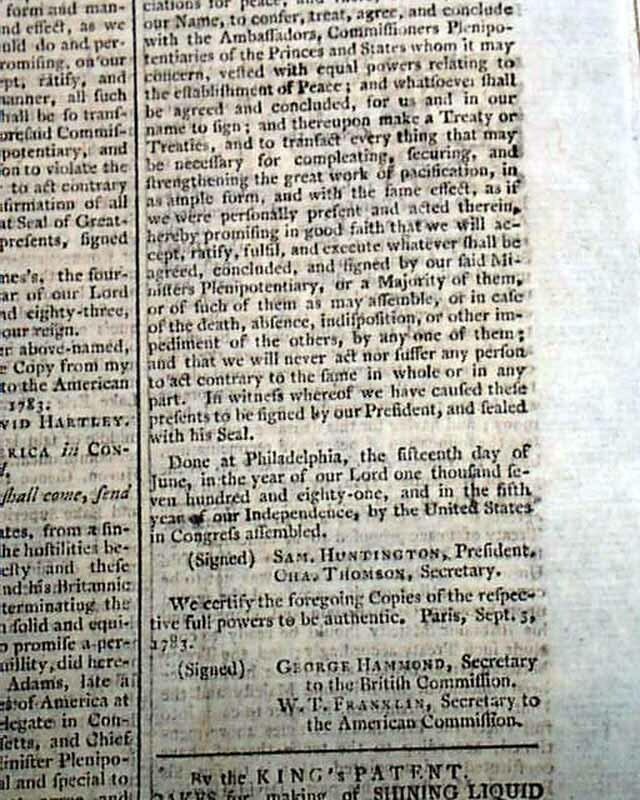 This document formally ended the Revolutionary War & is inclusive of all ten Articles with the signatures in type of John Adams, B. Franklin, David Hartley and John Jay (see). 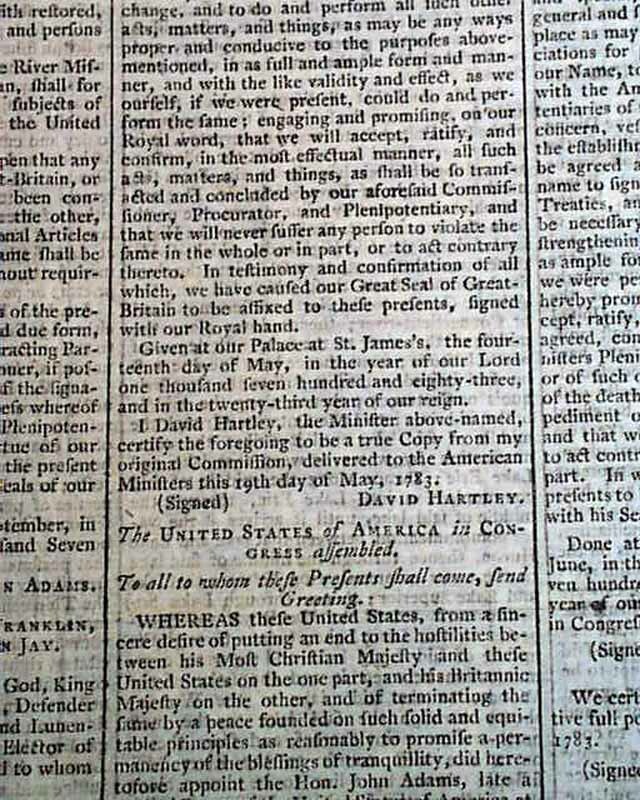 Following this historic document are two additional documents concerning the Treaty, one from the United States Congress formalizing the end of hostilities and the appointment of Hartley & Adams as authorized commissioners to negotiate the treaty with England, signed by the President & Secretary & dated at Philadelphia on June 15, 1783 (see). 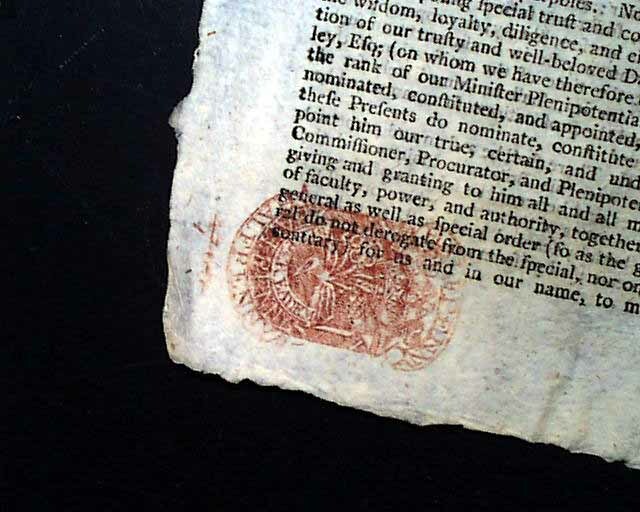 You will not find this Treaty in any issue of the venerable Gentleman's Magazine. 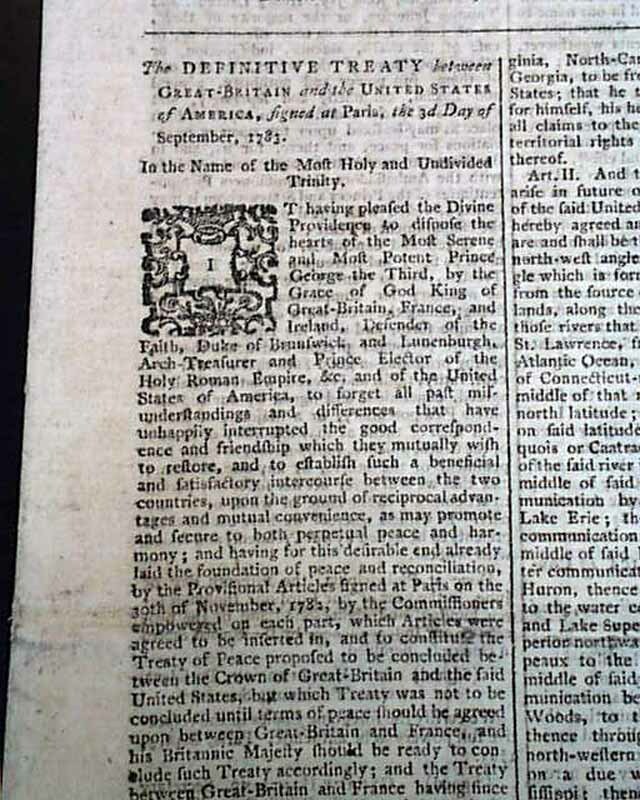 It only printed excerpts of the treaty, essentially the introductory paragraphs and Article X. 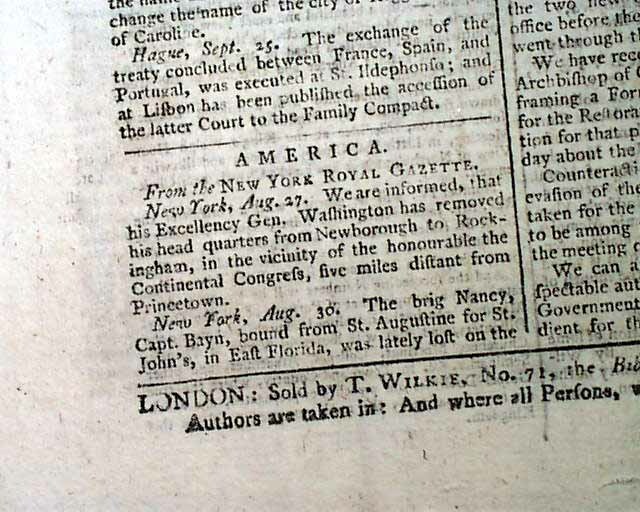 Certainly of less significance yet historically interesting are two back page items, one noting: "...his Excellency Gen. Washington has removed his head quarters from Newborough to Rockingham in the vicinity of the honourable the Continental Congress, five miles distant from Princetown [Princeton]". 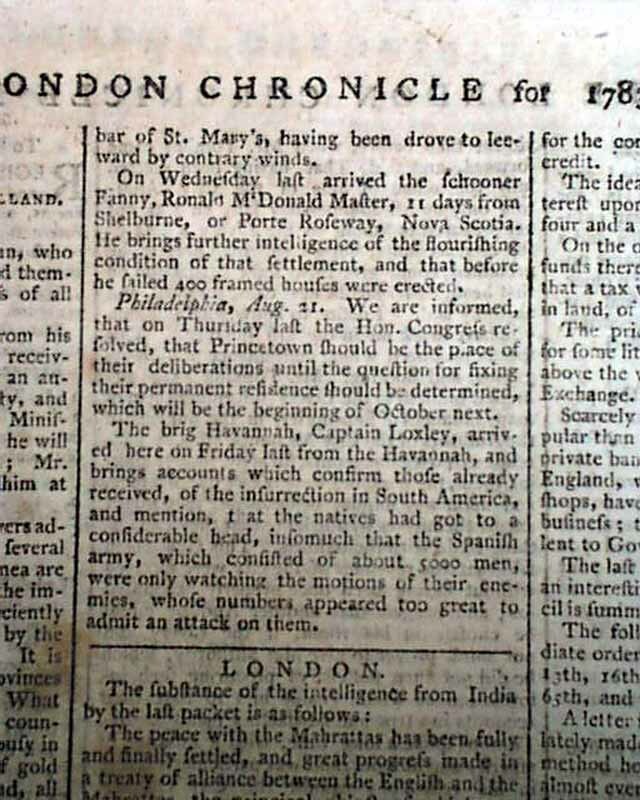 and also: "...are informed that on Thursday last the Hon. 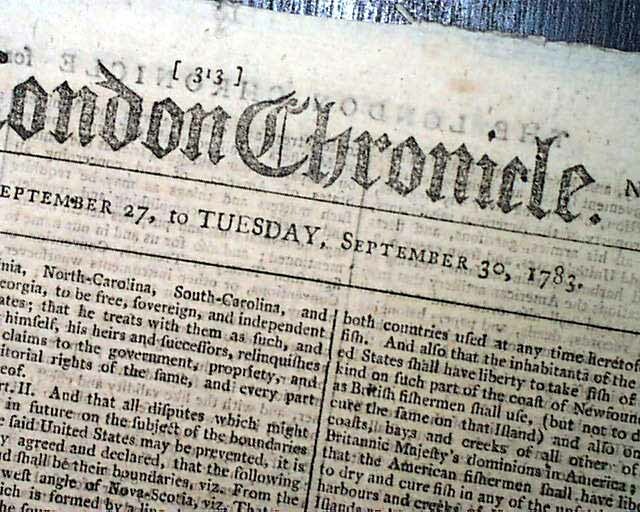 Congress resolved that Princeteown should be the place of their deliberations until the question for fixing their permanent residence should be determined, which will be the beginning of October next." (see). 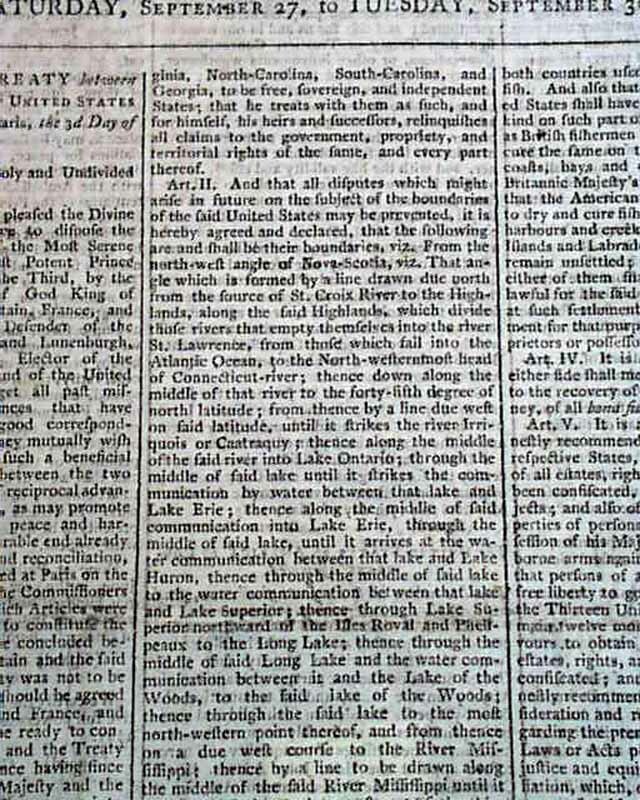 Princeton was the capital of the United States for five months in the summer & fall of 1783. 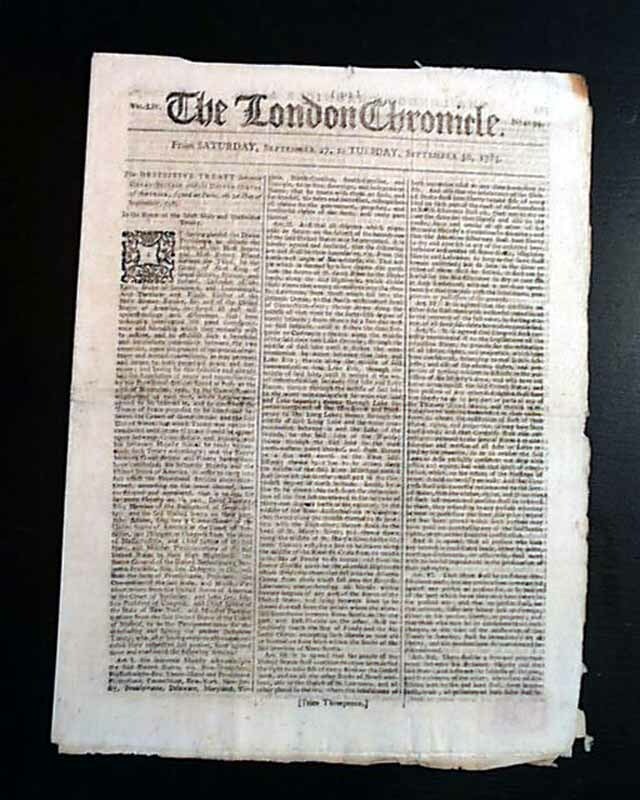 A very significant issue, & terrific to have this document not only on pages 1 and 2 but in a newspaper from the country which was a party in the treaty, and a city very close to Paris where the treaty was signed. This is priced at a fraction of the same report in an American newspaper. Complete in 8 pages, never bound nor trimmed, 9 by 12 inches, very nice, clean condition.